What a tasty treat! Hot cocoa spiked with cinnamon is simply delicious. With high quality chocolate it’s indulgent. This is a fun gift that has Southwestern flair written all over it! 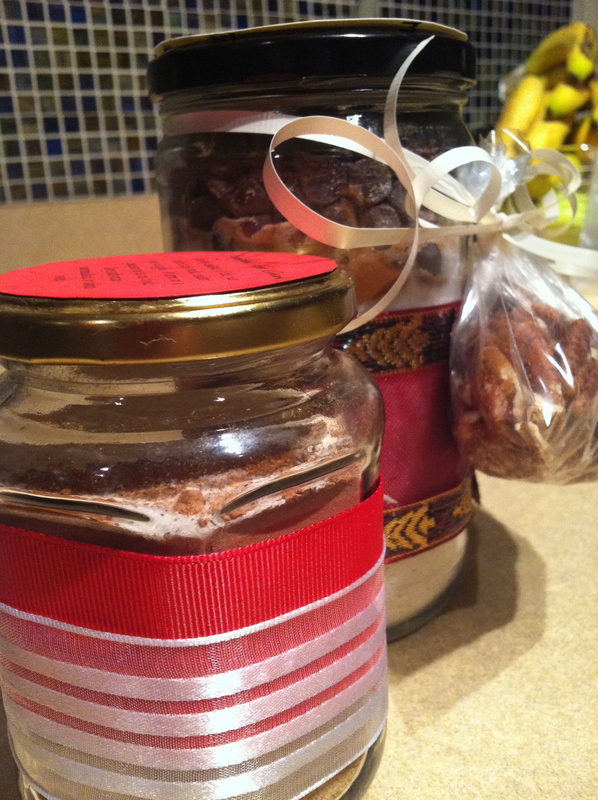 Use old jars and ribbon for a very inexpensive and thoughtful gift. Cocoa has antioxidant power that helps to reduce the risk for heart disease. Plus, I recently heard on NPR that cocoa is being researched for it’s ability to fight fat by blocking fat absorption. Interesting AND tasty. 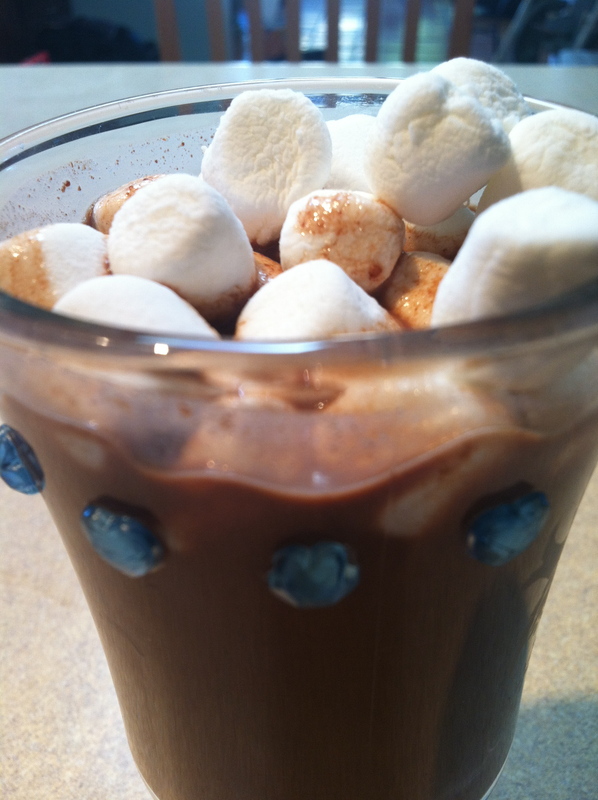 If you are concerned about the sugar in this hot cocoa, try reducing it, but also consider making this a part of a balanced snack so that your blood sugar, energy level and cravings stay in control. You may also choose to use a higher fat milk (whole milk or coconut milk) to help lower the glycemic load of the sugar. Layer brown sugar, cocoa, cinnamon, chili powder, granulated vanilla and salt in a glass jar. In a small saucepan, mix the dry ingredients in this jar. Over medium heat, gradually stir in milk, do not boil. Remove from heat and enjoy! 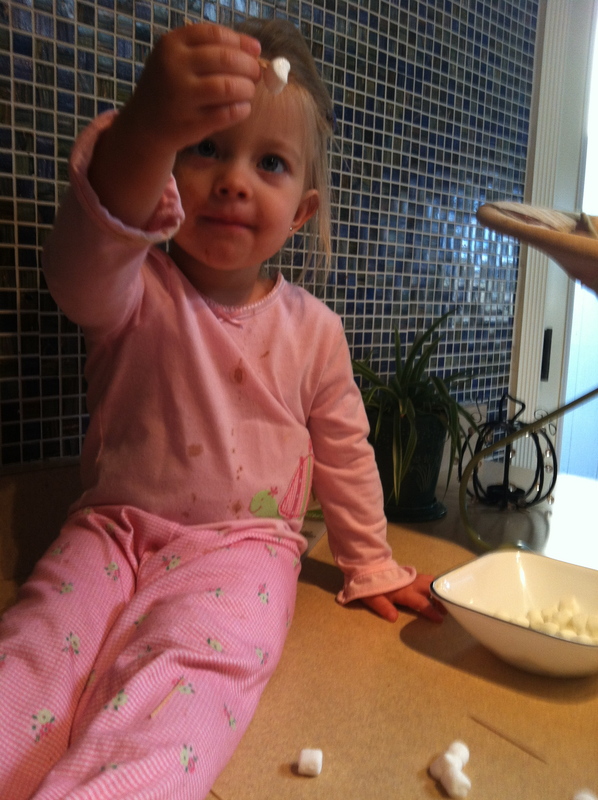 Top with marshmallows, or whip cream with shaved chocolate and a sprinkle of cinnamon. Here are the finished products! I’ll post the Chocolate Chip Cookie recipe this week. It’s a good one–gluten-free and dairy-free! Definitely have the kids help with this one–both to prepare the gift and to enjoy it! 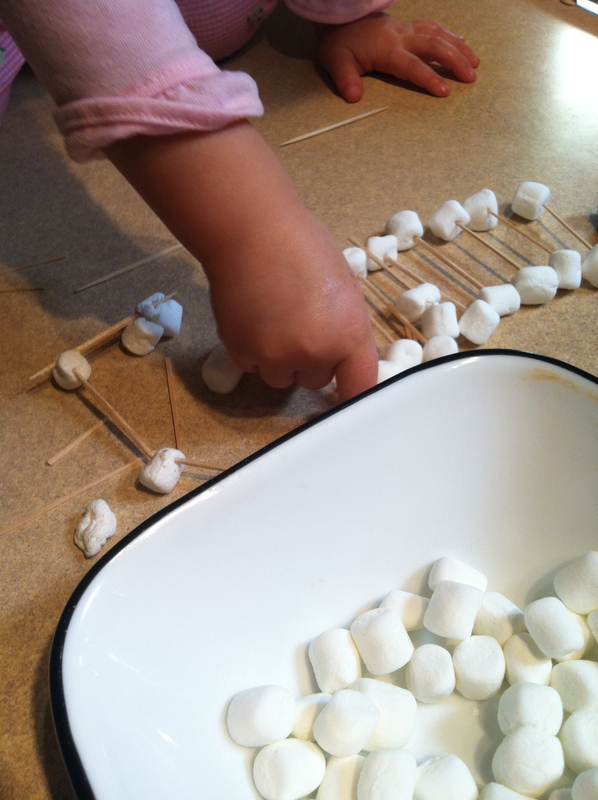 Sara was so excited to make a railroad with the marshmallows!